The current diversification of strategies—including presentations by the destinations and their hotels during the ARLAM fair plus training workshops for Magnicharters and meeting planners—resulted in 500 newly updated sales, travel and reservation agents in Monterrey. 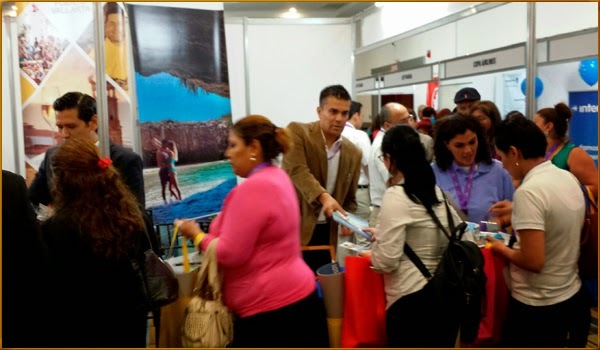 The promotional campaigns coordinated by the Riviera Nayarit Convention and Visitors Bureau (CVB) and the Puerto Vallarta Tourism Trust (Fidetur) took place in Monterrey, the Sultana of the North, from May 12th through the 15th of the current year. Different events were set in motion in the City of Mountains with the purpose of continuing to increase the number of tourists from that region, which is the third largest metropolitan area in Mexico and among the top 10 cities of origin for tourism to the bay. Both destinations gave a joint presentation for 180 travel agents during the tourism fair organized by the Monterrey Association of Airline Representatives (ARLAM by its acronym in Spanish). The team and a group of the region’s hoteliers went on to a tradeshow, where they represented their destinations before the 300 agent attendees. The work tour also organized a formal training workshop for Magnicharters, the commercial Mexican airline based out of the Monterrey International Airport. Here they updated 30 of their sales and reservations agents with the latest and most relevant information on the Riviera Nayarit and Puerto Vallarta. Meanwhile, the Riviera Nayarit CVB’s Promotion and Sales personnel took advantage of their stay in the capital of Nuevo León to train 20 top meeting planners from incentive companies such as BCD Travel, Interticket, Trayecto Viajes, American Express, Proconsa and GCI. All in all, over 500 sales, reservations and travel agents boosted their knowledge about the Riviera Nayarit and Puerto Vallarta, which will be very helpful when closing sales that will translate into more tourism for this region.